Even though imported vehicles are explicitly expensive in India due to the huge taxes, there are enthusiasts who have big enough pockets to fit them. There are many expensive imported cars that roam around on the Indian roads. But which one of these can you buy in India? 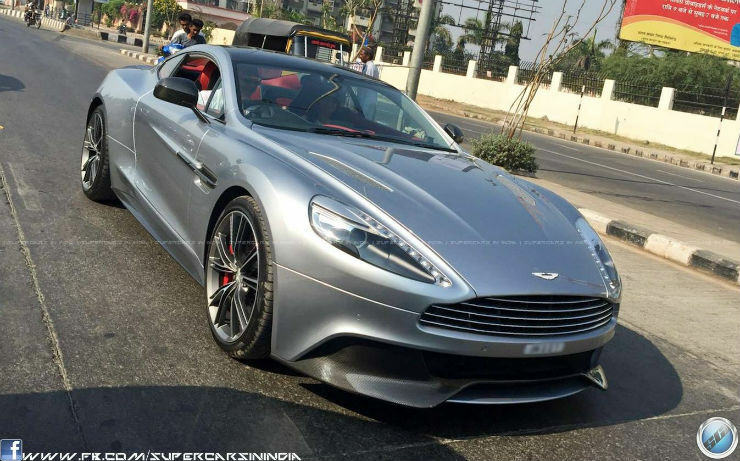 Here is a list of ten most expensive cars that you can buy in India. 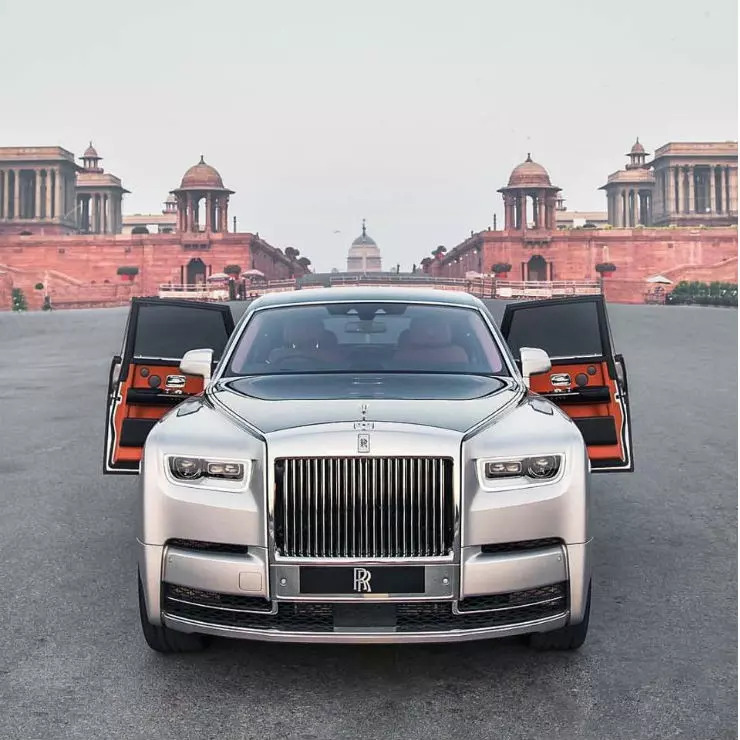 Rolls Royce launched the all-new Phantom Series VIII in India earlier this year. 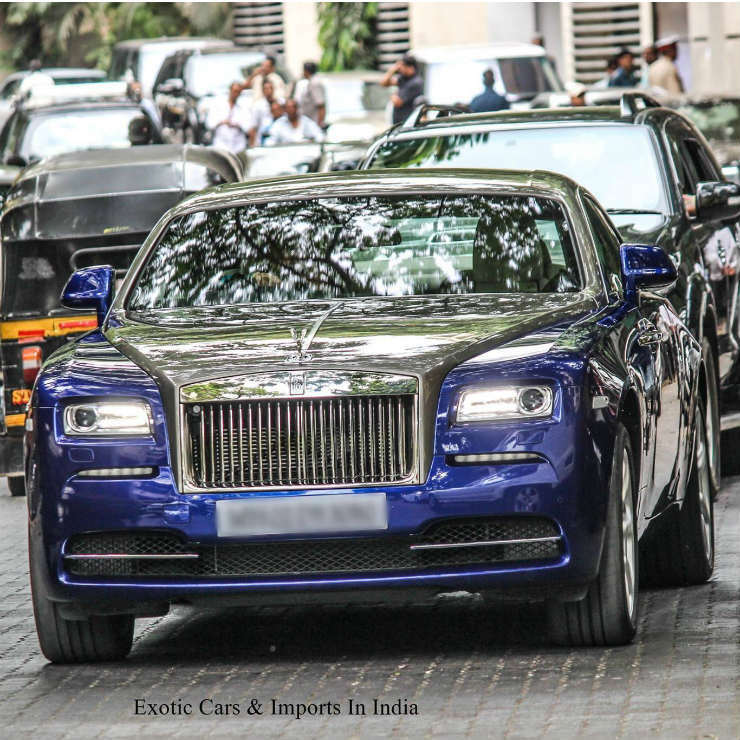 The long-wheelbase version of the Phantom Series VIII comes with a hefty price tag and is the most expensive car you can buy in India. It is an all-new car with a new chassis. Rolls Royce has always been known for their extremely sophisticated and luxurious interiors and this one is no different. The car gets new LED projector headlamps with LED DRL among other things like a larger grille. The Rolls Royce Phantom VIII is said to be the quietest car in the world and is powered by a 6.75-litre engine that generates 563 Bhp and 900 Nm. The regular version of the Phantom VIII is priced at Rs. 9.5 crores. 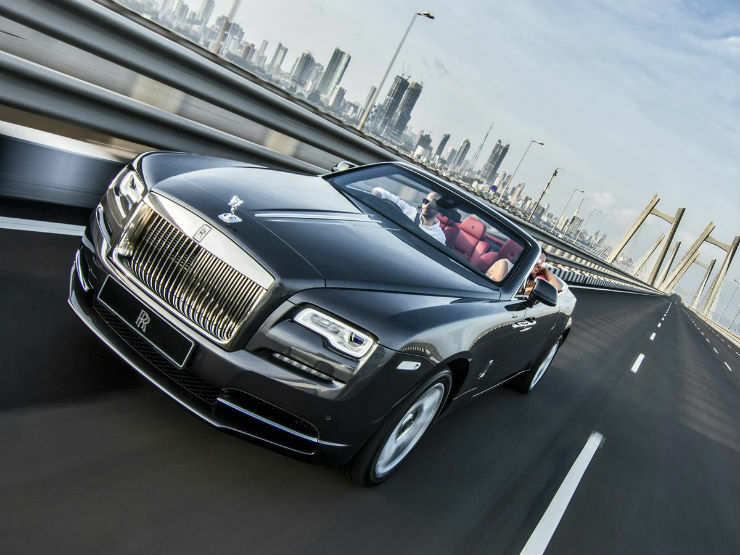 The Rolls Royce Phantom Drop Head Coupe (DHC), based on the previous generation Phantom, is the most expensive convertible that you can buy in India. The convertible is also the most luxurious one that you can buy and comes with extravagant features. 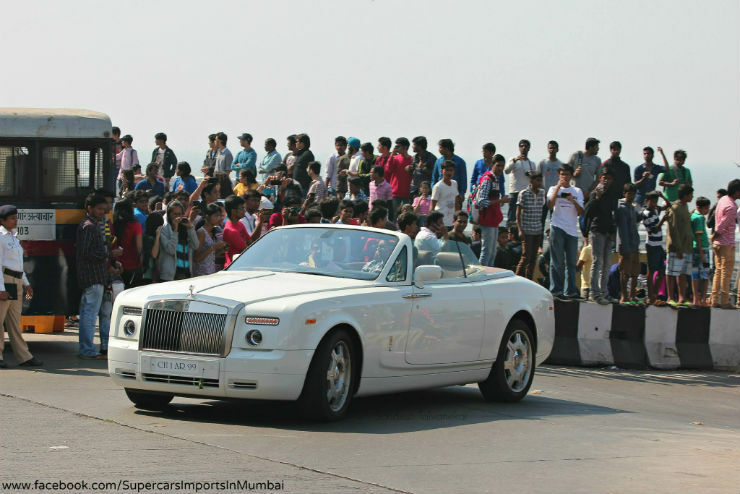 The Drop Head Coupe is a rare car in India but one can find it quite often on the Mumbai roads. The Phantom DHC is regarded as extremely luxurious and gets similar features like the Phantom Coupe. The Rolls Royce Dawn is only available in the convertible version and it is the third most expensive vehicle on the list. The Rolls Royce Dawn is a completely redesigned vehicle and shares nothing except the doors and the grille with its sister models. It was known as the “Quietest convertible in the world” but that title has now gone to the Phantom DHC. The Dawn can fit four adults in the car comfortably and is powered by a 6.6-litre V12 that generates a maximum of 563 BHP. The Dawn also offers luxury equipment and features agile handling because of its adaptive suspension and performs extremely well on the bad roads with its magic carpet feature. 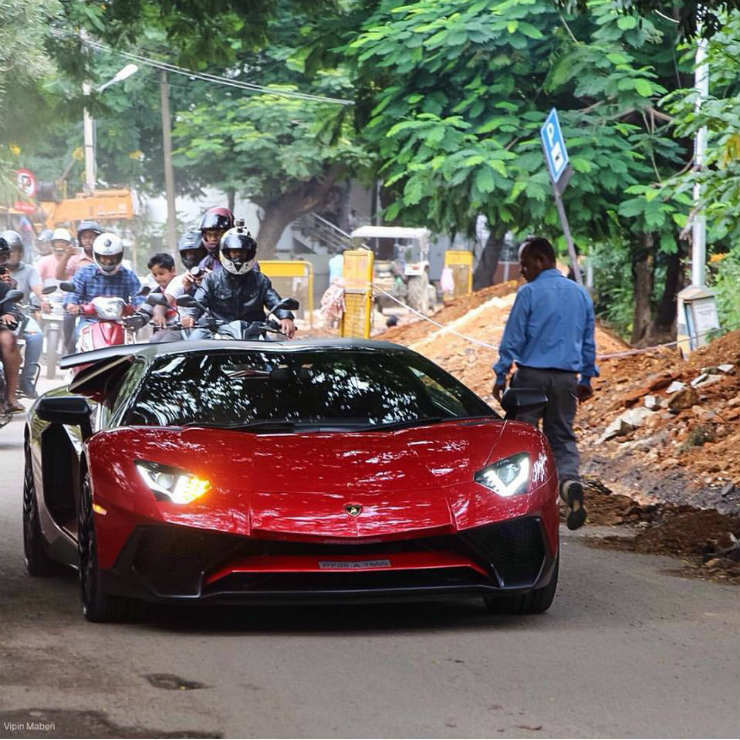 The Lamborghini Aventador Roadster is the most expensive sports car that you can buy in India. It is the convertible version of the Aventador and looks extremely slick. 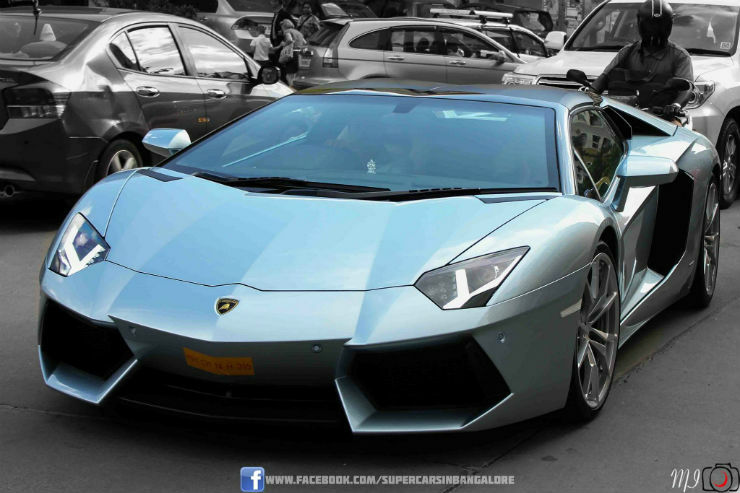 The Aventador Roadster was announced in 2012 and the first car came to India in 2013. It remains as the most powerful roadster in the world. The car can reach 100 km/h in just 3 seconds and can hit a top speed of 350 km/h. The Roadster version of the Aventador is not cheap as a number of engineers have used the technology to ensure that the car is strong enough to contain the extreme 700 Bhp and 690 Nm from the V12 engine. The Mulsanne comes from another fine British luxury car maker, Bentley. The name comes from the Mulsanne Corner of the Le Mans racing circuit, where the team Bentley won six trophies at the legendary 24 Hours of Le Mans. This is the most expensive Bentley car ever made and offers out-of-the-world luxury. The car is powered by a 6.75 twin-turbo V8 engine that produces a maximum of 505 BHP. The car can do 0-100 km/h in just 5.3 seconds to reach a maximum speed of 296 km/h. It also offers impeccable luxury features. The most expensive grand tourer from Aston Martin was reintroduced in 2012 to replace the DBS. The car gets extreme engineering of the aerospace level and also gets parts made up of aerospace grade carbon fibre. Aston Martin says that this is the most luxurious car they have ever produced and we have no doubts! The car uses a 5.9-litre V12 engine that produces a maximum of 568 BHP and a top speed of 324 km/h. It can hit the figure of 100km/h in just 3.6 seconds. There is an 8-speed automatic gearbox that shifts in 130 milliseconds. And it looks gorgeous too. 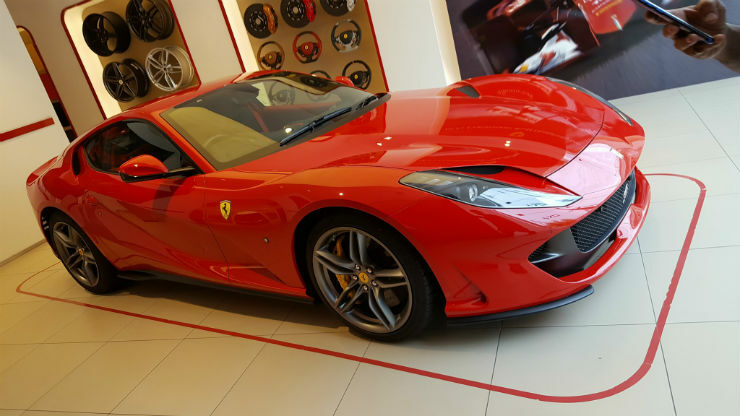 This is the most powerful Ferrari to be launched in India and is also the most expensive one. The sportscar was launched earlier this month. The 812 is powered by a naturally aspirated V12 petrol engine that generates a maximum of 789 Bhp and 718 Nm of torque, which is a huge output. The front-mid engine layout of the car gives it a balanced weight distribution and makes it a dream car to go around the track. The 812 can do 0-100 km/h in just 2.9 seconds and can reach a top speed of 340 km/h. The Wraith sits between the Ghost and the Dawn in the line-up and looks stunning in its coupe-inspired body style. The Ghost can be easily identified on the road because of its dropping roofline. The Wraith is only available in the two-door suicide-doors format. The two-door coupe is powered by a 6.6-litre V12 engine that produces a maximum of 623 BHP. Despite so much performance under the bonnet, the Wraith’s cabin is said to be one of the quietest in the Rolls-Royce Marque but that is an ongoing debate among the enthusiasts. The Lamborghini Aventador S was launched last year in India and it is the more powerful version of the regular Aventador. This looks quite different from the regular Aventador as it gets a sportier design and updated aerodynamics. The car is powered by a 6.5-litre naturally aspirated V12 engine that churns out a maximum power of 730 Bhp and 690 Nm. The car gets carbon-fibre monocoque chassis and to reduce weight, parts like bonnet lid, rear air inlets and spoiler are all made up of carbon fibre. It can do 0-100 km/h in 2.9 seconds and can reach a top speed of 350 km/h. 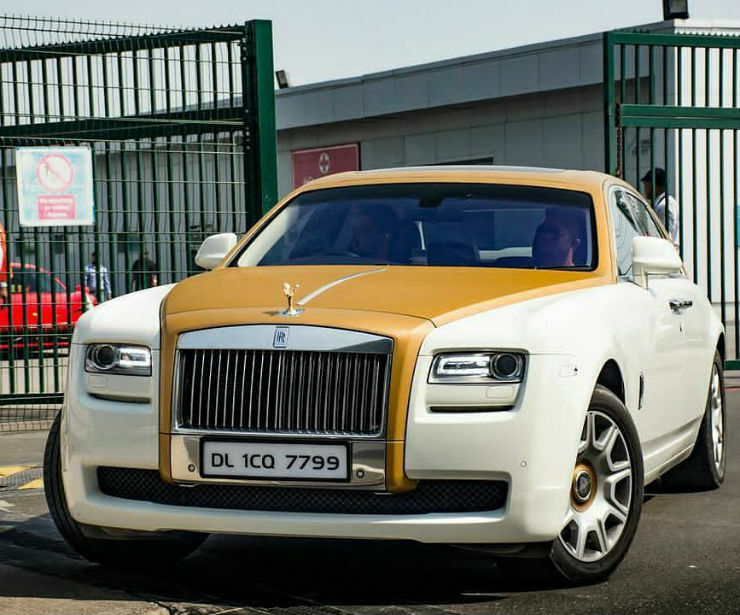 It is the most affordable Rolls Royce that you can buy and yet, it is on this list. The Ghost name is given to car to honour the Silver Ghost, which is the first ever Rolls-Royce car. The Ghost was updated in 2014 and received minor changes like LED headlamps and design tweaks. The car gets powered by a 6.6-litre V12 engine that has twin-turbochargers and produces a maximum of 563 BHP. The torque peaks at 780 Nm and the engine comes mated to an 8-speed ZF automatic transmission.